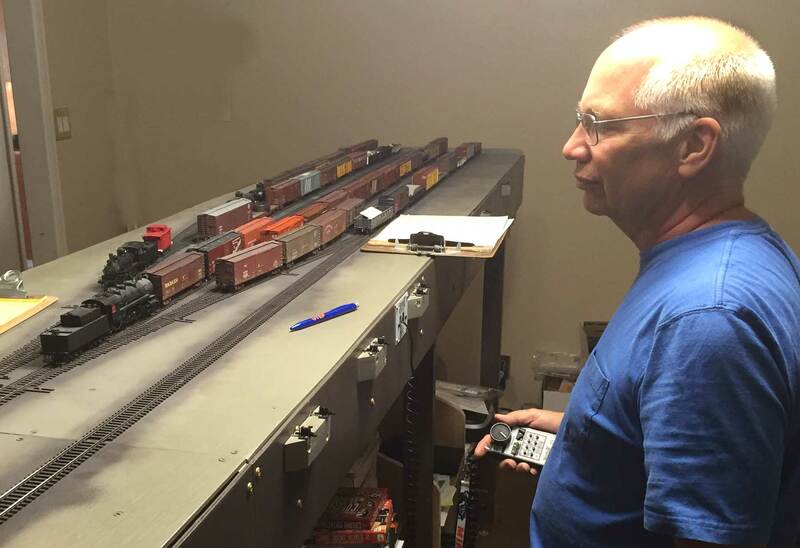 We were back to a full crew for the latest Wheeling Freight Terminal operating session. Mike and Robbie were the freight house crew. They are on the left in the lead image. Erik and Tom worked the team yard. This was Tom’s first time operating here and he did very well for a first timer. Delano, Jack, photographer. General view of part of the South Water Street freight depot of the Illinois Central Railroad, Chicago, Ill. May 1, 1943. Image retrieved from the Library of Congress. The original image has been cropped slightly. The original can be viewed through the link provided. 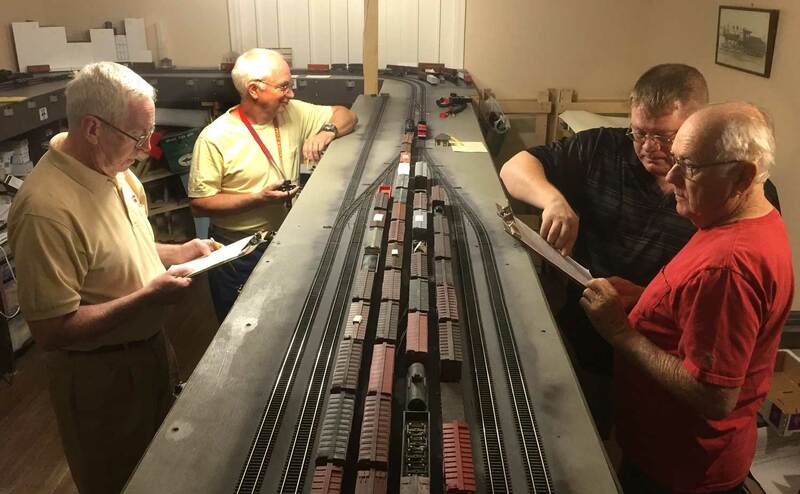 A recent discussion in a Yahoo email group centered on using prototype elements to slow down the pace of model railroad operations. 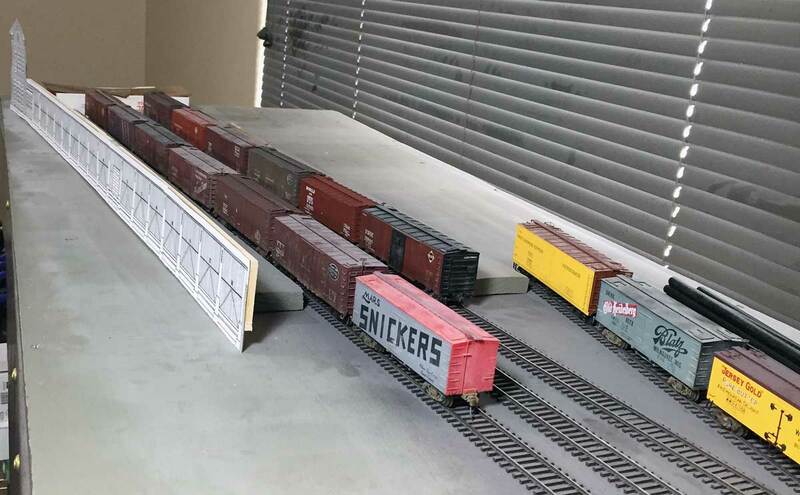 I had a Wheeling Freight Terminal operating session on the calendar and wanted to add a twist for operating crews to work around. 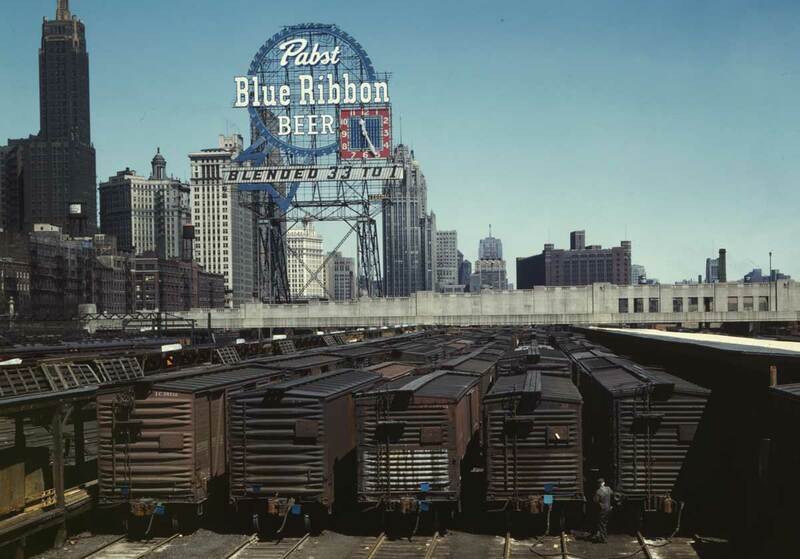 I recalled the above Jack Delano image that featured blue flag protection on several freight house tracks. 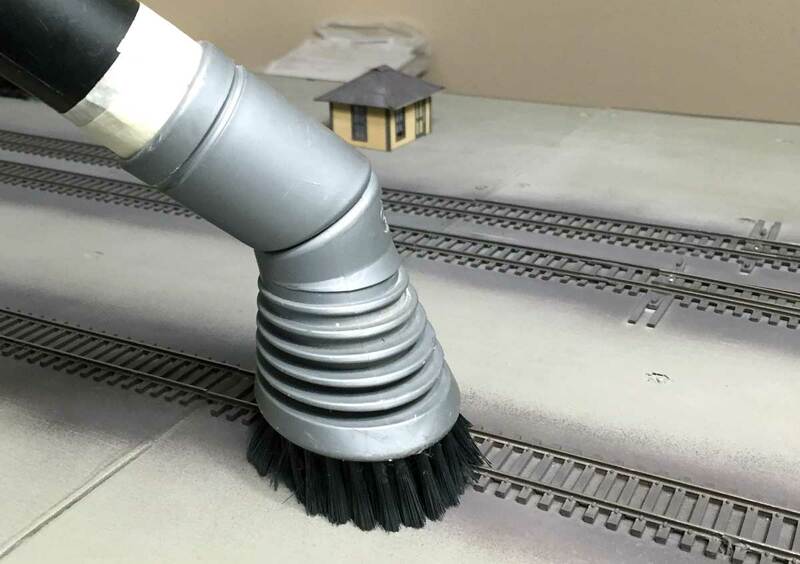 A few of these markers were constructed and installed on the layout for the operating session.